Nancy Rosen – founded Nancy Rosen Incorporated, an organization which plans and implements public art programs and collections, including the Art-for-Public-Spaces program for the U.S. Holocaust Memorial Museum in Washington, D.C.
John Godfrey Saxe 1839 – poet perhaps best known for his retelling of the Indian parable "The Blind Men and the Elephant"
Chad Salmela – current NBC commentator and coach. Former member of the US skiing team from 1990-1998. Sean Casten 1993 - United States representative from Illinois. Jill Seaman 1974 – physician specializing in infectious diseases for Médecins Sans Frontières (Doctors without Borders) and winner of a 2009 MacArthur Foundation "Genius Award"
^ Julie Nelson. "Vermont Women's History". Vermont Historical Society. ^ "JBHE Chronology of Major Landmarks in the Progress of African Americans in Higher Education". ^ "Sheila Miyoshi Jager". Oberlin College. Retrieved May 11, 2017. ^ "James A. Morone | Watson Institute". Watson Institute for International and Public Affairs. Retrieved January 17, 2018. ^ "Stuart B. Schwartz | Department of History | Yale University". Yale.edu. Archived from the original on April 29, 2012. Retrieved April 4, 2012. ^ "Latin American and Iberian Studies". Yale.edu. Retrieved April 4, 2012. ^ "Schwartz named new Stiles master". Yale Daily News. May 9, 2002. Archived from the original on February 9, 2013. Retrieved April 4, 2012. ^ "Professor Anthony Julian Tamburri Appointed Dean..." Queens College. April 25, 2006. Retrieved September 30, 2009. ^ "The Philadelphia Museum Chooses Its New Director". The New York Times. June 29, 2009. ^ "Bentley Historical Library" (PDF). Archived from the original (PDF) on June 5, 2010. ^ Schwager, Istar. "Interview with Carol Weston". Creative Parents. Retrieved July 2, 2012. ^ "John Colpitts '95". Middlebury. ^ DAVE ITZKOFF (April 21, 2016). "Movies". ^ "At The Movies". Middlebury Magazine. Archived from the original on July 23, 2011. Retrieved December 26, 2010. ^ "Ray Fisher". Department of Athletics, Middlebury College. Retrieved January 3, 2015. ^ a b "Russell Crowe dumps cheerleaders". BBC News. February 10, 2007. Retrieved February 10, 2007. ^ Bennett, Robert A. (April 5, 1981). "Chase Is Now Bill Butcher's Bank". New York Times. Retrieved August 24, 2012. ^ Chappatta, Brian, "Willard Butcher, Former Chase CEO Who Expanded Bank, Dies at 85", Bloomberg, August 27, 2012. Retrieved 2012-08-28. ^ Barrett, William P. (December 11, 2006). "Charity Case". Forbes.com. Forbes.com LLC. Retrieved March 22, 2008. ^ Jowers, Karen (January 18, 2008). "Charity draws fire for paying generals". Army Times. Army Times Publishing Company. Retrieved March 22, 2008. ^ Stratfor. "Jim Davis & family". Forbes. ^ "Sites-newbalance_us2-Site". Archived from the original on April 26, 2012. ^ Major League Lacrosse. "404". Major League Lacrosse. Archived from the original on August 13, 2010. ^ "Akshay Khanna". Forbes. Retrieved August 3, 2017. ^ Vanity Fair. "Nina Munk". Vanity Fair. ^ World Archipelago. "Nina Munk". HarperCollins US. ^ "404 Error: File Not Found". ^ Romig, Walter (1947). The American Catholic Who's Who. 7. Grosse Point, MI: Walter Romig. p. 65. ^ Wiley, Edgar J. (1917). Catalogue of Officers and Students of Middlebury College. Middlebury, VT: Middlebury College. p. 18. ^ Harman, Henry H. (1901). Proceedings of the Vermont Bar Association: Memorial Paper on Walter C. Dunton. Montpelier, VT: Argus and Patriot Printing House. pp. 84–90. ^ Wiley, Edgar J. (1917). Catalogue of Officers and Students of Middlebury College. Middlebury, VT: Middlebury College. p. 194. ^ "The Bishop Murders". TIME. March 22, 1976. Retrieved October 10, 2008. ^ Duggan, Paul (March 2, 2006). "Where Is Brad Bishop?". Washington Post. Retrieved October 10, 2008. ^ "Eli Porter Ashmun". Biographical Directory of the United States Congress. Retrieved October 19, 2012. 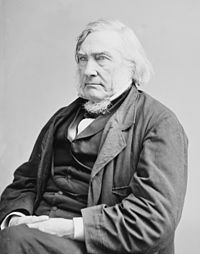 ^ "Elbert S. Brigham". Biographical Directory of the United States Congress. Retrieved October 19, 2012. ^ "Titus Brown". Biographical Directory of the United States Congress. Retrieved October 19, 2012. ^ "Daniel Azro Ashley Buck". Biographical Directory of the United States Congress. Retrieved October 19, 2012. ^ "Alexander W. Buel". Biographical Directory of the United States Congress. Retrieved October 19, 2012. ^ "Davis Carpenter". Biographical Directory of the United States Congress. Retrieved October 19, 2012. ^ "Alumni in the Midterms". Middlebury. November 7, 2018. Retrieved January 15, 2019. ^ "Calvin C. Chaffee". Biographical Directory of the United States Congress. Retrieved October 19, 2012. ^ "Barbara J. Comstock". Biographical Directory of the United States Congress. Retrieved November 7, 2018. ^ "Bill Delahunt". Biographical Directory of the United States Congress. Retrieved October 19, 2012. ^ "John Dickson". Biographical Directory of the United States Congress. Retrieved October 19, 2012. ^ "Solomon Foot". Biographical Directory of the United States Congress. Retrieved October 19, 2012. ^ "Calvin T. Hulburd". Biographical Directory of the United States Congress. Retrieved October 19, 2012. ^ "Rollin Carolas Mallary". Biographical Directory of the United States Congress. Retrieved October 19, 2012. ^ "James Meacham". Biographical Directory of the United States Congress. Retrieved October 19, 2012. ^ Albio Sires, Biographical Directory of the United States Congress. Accessed September 25, 2007. ^ "Vermont Governor Robert T. Stafford". National Governors Association. Retrieved October 10, 2012. ^ "John Wolcott Stewart". Biographical Directory of the United States Congress. Retrieved October 19, 2012. ^ "James Wilson II". Biographical Directory of the United States Congress. Retrieved October 19, 2012. ^ "Carlos Coolidge". National Governors Association. Retrieved October 19, 2012. ^ "Jim Douglas". National Governors Association. Retrieved October 19, 2012. ^ "Horace Eaton". National Governors Association. Retrieved October 19, 2012. ^ "William Alanson Howard". Biographical Directory of the United States Congress. Retrieved October 19, 2012. ^ Lyman Enos Knapp. The National Cyclopedia of American Biography. Retrieved October 19, 2012. ^ "John Mattocks". Biographical Directory of the United States Congress. Retrieved October 19, 2012. ^ "Stephen Royce". National Governors Association. Retrieved October 19, 2012. ^ "William Slade". National Governors Association. Retrieved October 19, 2012. ^ "John Wolcott Stewart". National Governors Association. Retrieved October 19, 2012. ^ "Vermont State Archives & Records Administration" (PDF). Vermont Secretary of State. ^ 2001–2002 Public Officers of the Commonwealth of Massachusetts. ^ "The 31-Year-Old in Charge of Dismantling G.M." The New York Times. June 1, 2009. ^ "In Memoriam, Richard C. Thomas". Middlebury College Magazine. Middlebury, VT: Middlebury College. 1992. p. 78. This page was last edited on 16 February 2019, at 02:28 (UTC).